Posted on September 5, 2016 at 10:30 am. 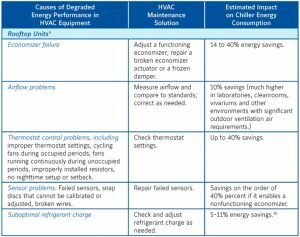 HVAC maintenance and energy savings go hand in hand! It is a general rule, that when appliances are taken care of, maintained and looked after, they last longer and perform better. 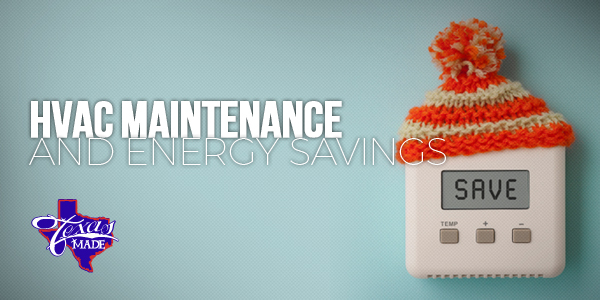 Preventive and predicative maintenance is crucial to ensuring a long, productive life for our HVAC systems at home or in the office. We take our car in for regular tune ups and oil changes, and we should have the same attitude in regards to our heating and cooling systems. 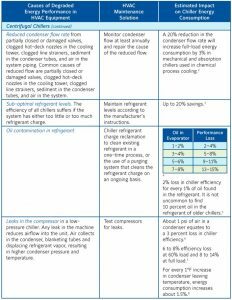 There are numerous HVAC components (over 100) that if they are left to their own devices can result in energy performance degradation. 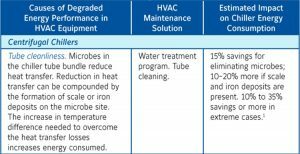 The chart below taken from the building initiative efficiency site shows exactly how consistent maintenance can result in energy savings.